I have a question I was hoping I could get a lead on. Under my recommendations I have polymannuronic acid. I couldn’t find anything on your site about this and didn’t have any luck finding it in a supplement. Taking brown seaweed seems to have risk of iodine overdose. Have you heard of any viable options for polymannuronic acid? My initial take on this was ??? overdose???. All commercial table salt has iodine added because our diet has been iodine deficient! Read More Here. The Linus Pauling Institute (Oregon State University) had an excellent summary. Mean iodine concentration in bulk seaweed biomass is species specific. The brown seaweeds have higher iodine concentrations than the red seaweed. Currently, the European Food Safety Authority (EFSA) allows 600 µg day−1 upper tolerable iodine intake (EFSA NDA Panel, 2014) which permits the consumption of larger quantities of seaweed, among other iodine sources. Despite high levels of iodine present in some seaweeds, ingestion of large amounts will not necessary imply a risk for excessive intake of iodine. 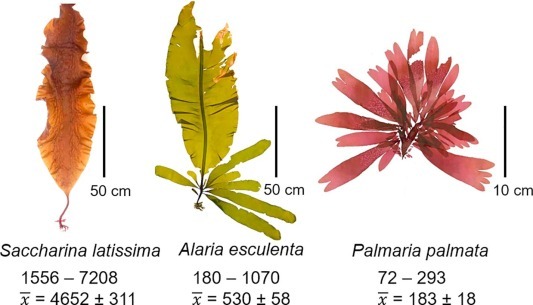 Also, post-harvest processing such as drying and boiling in freshwater reduces iodine content in seaweeds within a couple of minutes (Lüning and Mortensen, 2015, Nitschke and Stengel, 2016). In addition, only 49–82% of seaweed iodine appeared to be accessible for absorption by humans after gastrointestinal digestion (Domínguez-González, et al., 2017). Therefore, concerns over iodine toxicity from eating seaweed appears to be unfounded. 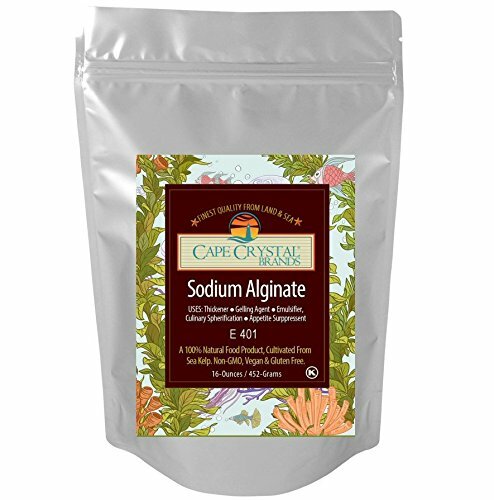 Alginate is a collective term for a family of polysaccharides produced by brown algae and bacteria. Species of Pseudomonas and Azotobacter are the only prokaryotic sources for this algal like-polymer. Polymannuronic acid (PM) together with polyguluronic acid (PG) constitute the structure of alginate. The cheapest way is just buy it as a food grade thickening agent. $20.00 for 450mg/ 16 oz. In regard to the overdose I should have been more specific. In a google search for brown seaweed and thyroid there are several articles on thyroid problems for people who have pre-existing thyroid dysfunction. Also one case study of a person with no thyroid condition. Since the majority of people with CFS and related conditions also have thyroid issues, including myself, it seems to me a relevant concern. ← Chromolyn Sodium – a minor Christmas miracle for histamine issues?